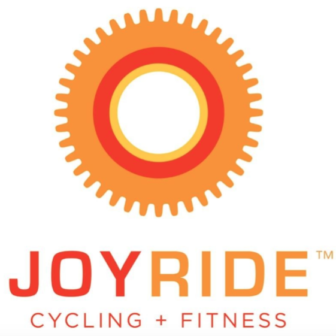 JoyRide Cycling + Fitness, a boutique studio for indoor cycling and cross-training classes in Connecticut, announced on Thursday that it’s reshuffling its leadership, acquiring its two licensed studios in Texas, and will expand to new locations. The two co-founders of JoyRide, Amy Hochhauser and Rhodie Lorenz, will join forces with the brand’s Texas licensee and owner of two studios, Becky Cerroni, who will step into a new role as CEO. Cerroni will focus her time on growing the JoyRide brand nationwide while also leading operations and customer service and developing retail, external collaborations and business development. Hochhauser will become the new chief brand officer, focusing on consistent branding across all marketing, advertising, social media platforms and the web site. Lorenz will continue as Chief Creative Officer to lead and train JoyRide’s robust team of talented instructors in the exclusive JoyRide Method she created. The newly merged, larger company will focus on strengthening the existing studios and growing new studios across the country. Their plan is to open six to 12 new studios in the next 36 months. JoyRide has identified growth opportunity in several markets and regions, thanks to demographic mapping data and their own customer data, starting with Texas where they already have a strong reputation. This new structure strengthens JoyRide’s brand as the co-owners embark on plans to grow in other regions of the country. Since it launched in 2011, JoyRide has opened four studios in Fairfield County and two in San Antonio, and has seen an explosion in popularity — and 55,986 unique customers — thanks to high-end classes led by athletic instructors and studios with positive, inclusive vibes. Since 2011 when co-founders Hochhauser and Lorenz opened the first JoyRide studio in Westport, followed by Darien, Ridgefield, and Wilton, there has been an increasing number of competitive boutique studios entering the market. Even as corporate-backed national studios moved into the same zip codes, independent JoyRide thrives. JoyRide attributes that to high-quality fitness classes, athletic and motivational instructors and an inclusive, positive community atmosphere. “With the influx of competition in our market, the JoyRide brand has been tested and we are thrilled it continues to resonate so strongly with our customer base,” Hochhauser said. Cerroni remains confident that even with the spread of national chains across the country, there is more than enough room — and a need — in the market for a brand like JoyRide. In 2014, Cerroni, who had been an avid customer in JoyRide’s Westport studio, licensed the brand to open a studio in San Antonio, where she had just moved. There, she built a thriving boutique studio with instructors teaching the high-energy JoyRide Method, leading her to open a second location in another neighborhood in the city. Cerroni has since moved back to Westport, but she travels back to San Antonio once a month. “Becky has deep connections in the Texas market and has a lot of experience in operations and team building,” Hochhauser said. In addition to interval-based indoor cycling classes, the studio’s off-the-bike, cross-training classes — including boxing, rowing, boot camps, mat Pilates, Barre, circuit and sculpt — have become just as popular. Having more than one modality perfectly positions the studio to grow to the next level. For all new studios moving forward, the owners plan to offer both JoyRide cycling classes, as well as JoyX off-the-bike classes to complement one’s fitness regimen. “What sets JoyRide apart is that their off-the-bike classes are just as popular and effective as their cycling classes. No other cycle studio has effectively done that,” Cerroni said. JoyRide Cycling + Fitness Studio is a fitness boutique dedicated to calorie-torching, interval-based, athletic indoor cycling and off-the-bike, cross-training classes. 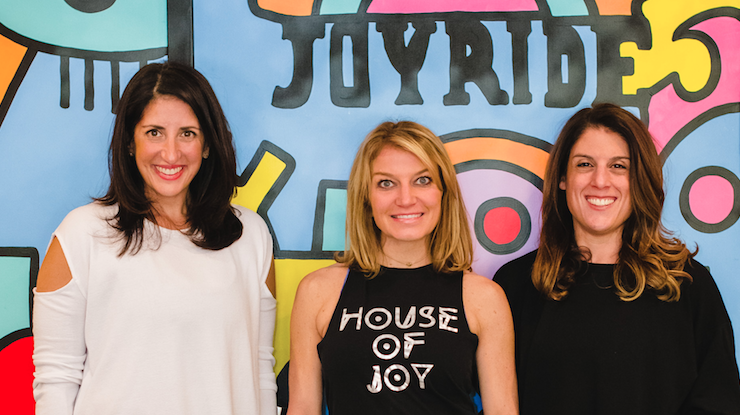 Since 2011, JoyRide co-founders Amy Hochhauser and Rhodie Lorenz, and co-owner Becky Cerroni have launched six studios in Fairfield County, Connecticut and San Antonio, Texas with inclusive, positive vibes. The co-founders have always emphasized that every age, fitness level, and body type is embraced and empowered, as well as offered charity rides for philanthropies and needs affecting their community. Talented and enthusiastic instructors, including two Nike ambassadors / trainers and several Division 1 athletes, lead challenging workouts set to motivating music. JoyRide classes are geared toward all ages, genders and fitness levels. The culture of JoyRide is more than fitness: it’s a culture of good health, motivation, empowerment and spreading joy. Editor’s note: Darienite publishes announcements of major developments announced by Darien organizations, stores and other businesses. Announcements may be edited, as this one was, or otherwise used for information in articles. Send announcements to dave@darienite.com.